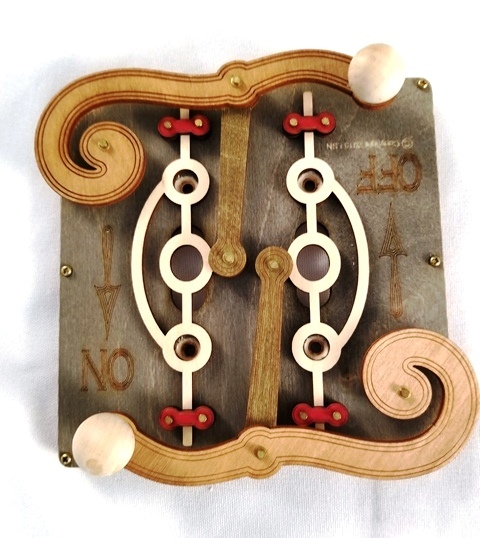 Cool light switch plate made of wood with working "steam punk" levers. Double levers for a double light switch plate. Gray stained wood.